When we assign preternatural forces to aberrant deeds and/or individuals we blind ourselves to the actual causes and their solutions . One of the most pervasive myths of our culture is that some people are just born bad. Despite the fact that this belief has no basis in reason, and cannot even be tested let alone ‘proven‘, people who identify as rational are just as likely to believe this myth as much as the most radical fundamentalist. And despite the fact that disciplines ranging from childhood development to forensic psychology have provided ample evidence on the side of nurture as the leading factor in deviance, the mainstream narratives still give more credence to the myth. The logic underlying this belief is equivalent to thinking that a moving ball must be endowed with some sort of intrinsic desire to move, rather than that it was caused by interaction with some other object or agent. Clearly balls do not move independently because it is in their nature to do so, just as humans do not behave free of interactions with external agents. It hardly needs pointed out this belief has its origins in theology, even though it is also widely found among secular thinkers. However it is a rather singular and pedestrian interpretation of Christian doctrine that has spawned the idea of inherent evil. Until Protestants began breaking down the Catholic-favored idea of free will, evil acts and individuals were thought to have been caused by the influence of Satan. Early Protestantism took a softer approach to determinism, claiming that although God knew all outcomes because He existed outside of time, and despite his omnipotence, allowed humans to make their own choices without interference. As the literal interpretation of doctrine by fundamentalists began to evolve alongside secular modernism in the 18th and 19th centuries, a harder form of determinism was concluded, and woven into the fabric of our culture. From these influences the western idea that ‘some people are just born evil’ was instilled at large and has influenced our socioeconomic and political trajectory ever since. Those who advocate the idea of nurture-causes for deviance fall into hard and soft categories. The latter is characterized by the platitude that no child learns hate on their own, and is restricted to family and the immediate environment. The harder proponents of nurture see whole societies or human civilization at large as factors which influence the development of individuals and their potential for normal or deviant behaviors. Rejection of nurture, especially of the hard type, is a judgement based on conservative Protestant-derived beliefs about individuality and responsibility; despite the fact that those ideas directly contradict the myth of inherent evil. Somehow a dual belief that some people are just born evil, but that it is also their own fault, have existed simultaneously without much scrutiny. This is a common feature of the stoic patriarchal virtues of Protestantism and industrial capitalism, hypocrisy informed by self-righteous certainty. This is why philosophy matters. The unexamined life may yet be worth living, but it is doubtlessly lived below the threshold of its potential. When we do not deeply examine our most basic beliefs, when we do not scrutinize the seemingly self-evident, then we become lost in a prison of belief from which mobility and adaptation become nearly impossible; if strived for at all. In America our failure to sort out fallacious thinking in these regards is likely playing a major role in the crisis of violence evident in endless global warfare, institutional abuses and rapidly increasing incidents of mass murder. We continue to judge the individuals responsible, or to blame the tools they use, but completely fail to create a constructive dialogue about real causes and solutions. The myth of inherent evil asks only who, how and what, while failing to address the biggest question of all. The question that could show us when and where to turn this mess around. Evil is that which happens when we do not extend our will to prevent its cause due to pervasive beliefs in preternatural forces. They are symptoms born in a blind spot of self-fulfilling prophecy that ignores the disease and blames the sick. Blaming evil is the surest way of creating whatever it is we believe evil to be. Reblogged this on Seven Spheres. I tried taking a look around your blog, but saw no other content besides the repost you so kindly honored me with. Is there really nothing else there, or are there some site issues, or am I being a total dumbass? I really never liked the term “evil.” It’s more miseducation, ignorance, indifference, and/or a maladjusted brain or mental problem. Will you send me a link to that site, I cannot seem to find it? Thank you. Blaming evil is a zero-sum game, which of course is self-perpetuating. If there is bad behaviour that is organically-based, then it can be corrected through medicine, diet, surgery, etc. If there is bad behaviour that is socially-based, then the hard work of inclusion, containment and and correction (sometimes, but not always, including confinement) needs to be engaged. There is no bad behaviour that is caused by “evil spirits”; sorry. 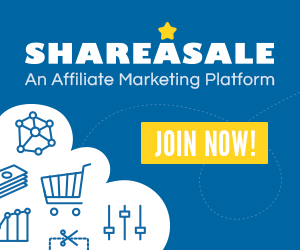 Share-A-Sale makes it easier than ever for bloggers to make $$$$$.